If you’re a black hole, you’re either a really small hole or a supermassive monster one — there’s nothing in between. At least that’s what astronomers observed since there was no proof of middleweight black holes — until now. Now, in a study to be published in Nature on Thursday, researchers found evidence of a medium-sized black hole hiding at the center of the 47 Tucanae star cluster. This black hole contains the mass of about 2,200 suns. In comparison, small black holes only are only equivalent to a few suns, while supermassive black holes possess the mass of millions or even billions of suns. Scientists previously believed medium-sized black holes exist, but they had no conclusive proof. In this artist’s illustration, an intermediate-mass black hole lies in the middle of the 47 Tucanae star cluster. 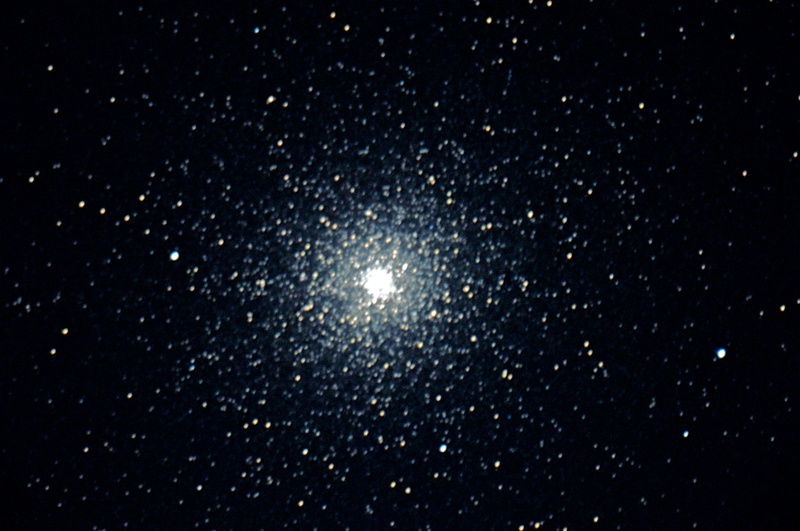 The 12-billion-year-old 47 Tucanae cluster contains hundreds of thousands of stars in a ball only 120 light years wide. It’s located about 13,000 light- years away from us in the southern constellation Tucana the Toucan. Usually, to find black holes, scientists look for X-rays coming from a hot disk of material swirling around the hole, but this only works if the black hole is consuming nearby gas. For example, the supermassive black hole at the center of the Milky Way pulls stars around it using its gravitational forces. With 47 Tucanae, the center of the cluster is gas-free, so scientists previously did not find a black hole there. But the Kiziltan’s team studied the overall motions of cluster’s stars and found that heavier stars tend to sink towards the center. It’s similar to mixing together liquids, where heavier liquids sink to the bottom and lighter ones float to the top. Likewise, denser stars cluster toward the center. The black hole works somewhat like a spoon. In the early phases of cluster evolution, the black hole moves around like a spoon stirring up a pot, speeding up the cluster’s stars. Over the course of 13 billion years, the black hole’s still moving around a bit, but it has settled in the center. Researchers also studied the approximately two dozen pulsars in the star cluster, which are the remains of dead stars with easily detectable radio signals. The black hole’s gravitational forces also stir up pulsars. These findings point to new methods that can help scientists hunt down more medium-sized black holes. Researchers believe there are many more black holes hiding in star clusters, stirring up trouble and waiting to be found.